Here’s what’s happening in the world of television for Sunday, July 22. All times are Eastern. 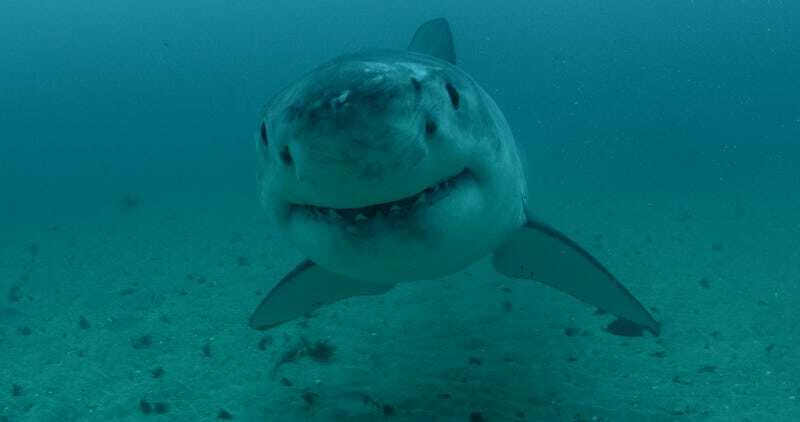 Shark Week (Discovery, 7 p.m. through Sunday, July 29): Happy Shark Week, everybody! “Television’s longest-running event” celebrates its 30th anniversary this year, and just on this first night, you can enjoy Alien Shark, Bear Vs. Shark, Shark After Dark, and Shaq Does Shark Week. “In addition, Shark Week’s team of renowned scientists deliver all-new groundbreaking shark stories incorporating innovative research technology to reveal compelling insight into the mysterious world of sharks.” So enjoy these twenty-some hours of shark programming, even though it might add an element of dread to your summer coastal beach visits. After all, like the anniversary promo says, “Times may change, but awesome never gets old.” We suspect the president will be watching—we heard he’s a fan. SharkFest: When Sharks Attack (National Geographic World, 8 and 9 p.m.): If you’re a huge shark fan like Trump reportedly is, perhaps you’ve already been onboard over at National Geographic World, which kicked off its own Sharkfest about a week ago for two full weeks of Great Whites and whatnot. So there are a few When Sharks Attack programs tonight to fill your counter-programming shark needs. The NatGeo website says SharkFest is the “No. 1 destination for factual shark shows.” Discovery Channel might beg to differ, but hey, the more sharks the merrier.